Mogadishu – (warsoor) – President of the Federal Republic of Somalia, H.E. 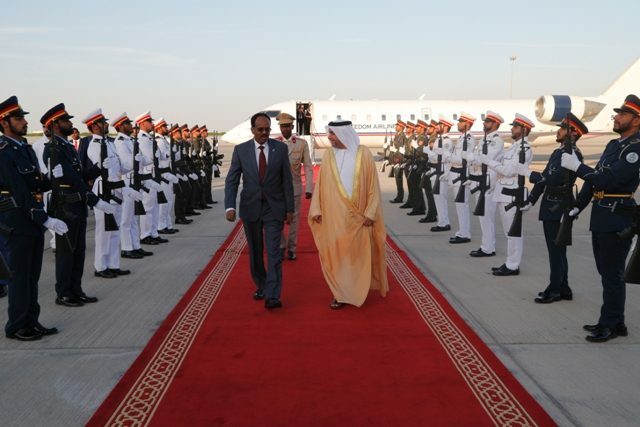 Mohamed Abdulahi Farmajo on Sunday afternoon reached Dubai, the headquarter of the United Arab Emirates and received warm welcome from U.A.E’s officials there, SONNA. Members of the Somali Cabinet and parliament are accompanying the president’s official visit to the region.